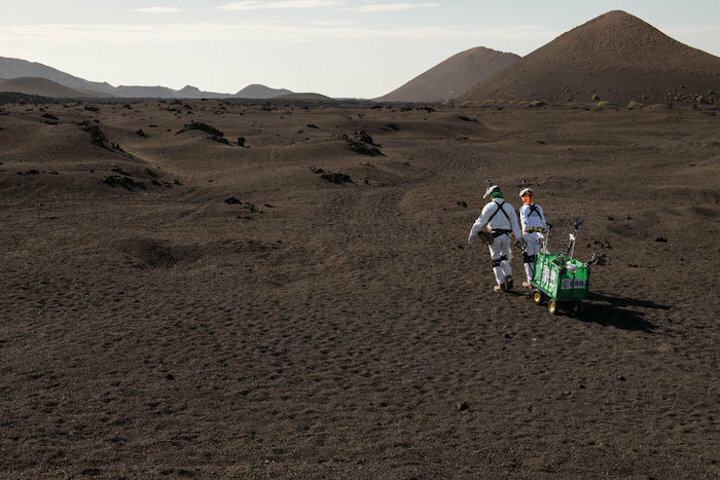 A mini-rover, tools once used on the Moon and lasers for 3D mapping are in the backpack of the explorers of tomorrow. 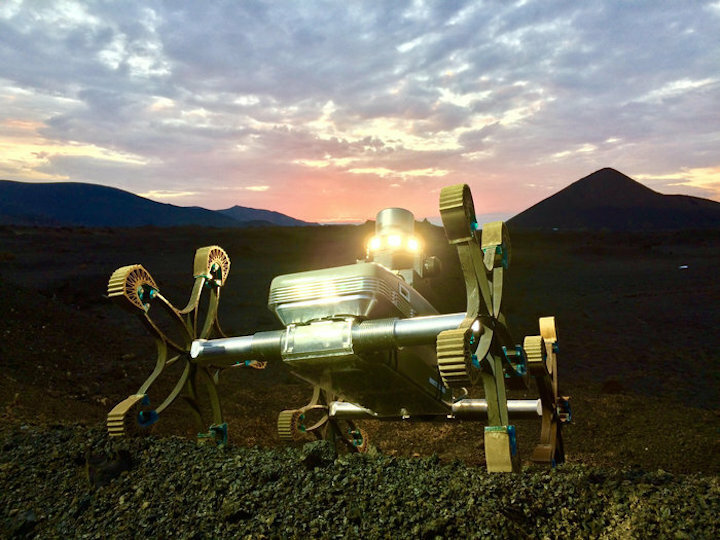 The terrain will be hazardous and it will be dark in volcanic caves, but this equipment could one day help to scout other planets. his pioneering exercise is Pangaea-X, an extension of ESA’s Pangaea geology training. European astronauts, scientists and engineers work side by side to prepare for human and robotic operations away from Earth. Volcanoes, caves and underground highways formed by lava are included. Like on Mars, some of the caves are large enough to accommodate highways. There is a lot to be tested, from spacewalks in rough areas to underground communications. Together with high-tech scanners, a drone and a rover, there is sampling and in-situ DNA analysis of microorganisms. 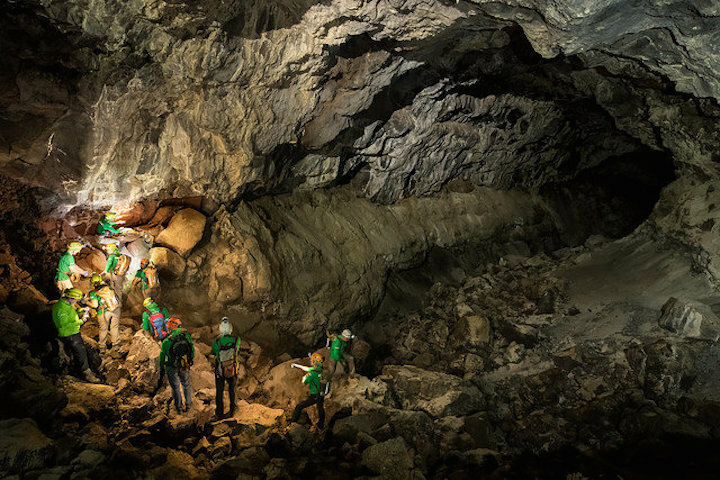 While a set of lasers help to create spectacular 3D views of the lava caves, European astronauts are wearing smartphones on their wrists displaying instructions and DNA results on the spot. “We have to test all this technology and a full set of analysis tools in the field and learn how to best integrate it into future operations,” adds ESA astronaut Matthias Maurer. Not everything will be state-of-the-art technology. Spacewalk experts are carrying NASA replicas of sampling tools used during Apollo missions on the Moon to assess if they are suitable for future missions. They are encountering obstacles and mobility constraints all along the way. “It is essential to optimise the tools and equipment for exploration. Safety and efficiency will be key for the success of future spacewalks on the Moon,” says ESA spacewalk instructor Hervé Stevenin. Pangaea-X is running until 24 November. The organisations involved will benefit from ESA’s expertise in astronauts operations and training, as well as from the knowhow of scientists, technicians and planetary field geology instructors.